Banking on the Future: Winooski Teacher Primes Students for Financial Success | Features | Kids VT - small people, big ideas! 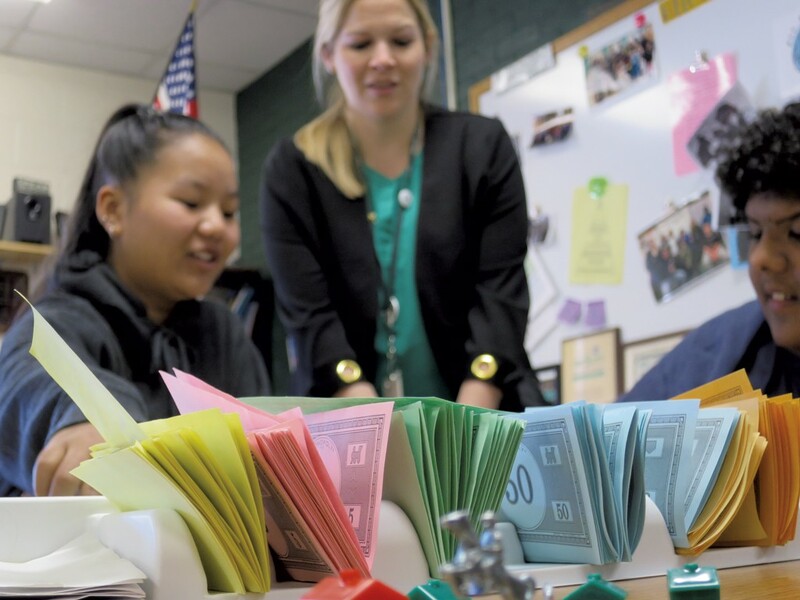 When it comes to teaching kids personal finance, Vermont gets a D.
The 2017 National Report Card on State Efforts to Improve Financial Literacy in High Schools — put out by Champlain College's Center for Financial Literacy — dings the state for setting "modest levels" of personal finance education in state academic standards, providing no specifics on instruction and no oversight to the school boards, which implement them. Despite the bad grade for the state as a whole, exemplary personal finance programs exist in some schools. 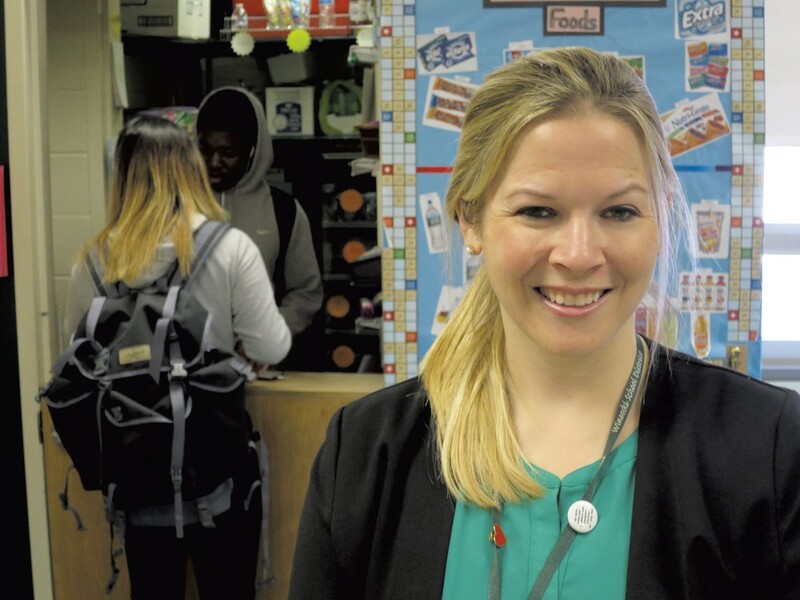 Winooski High School is home to one, the creation of business teacher Courtney Poquette. "Courtney is just a super educator," said John Pelletier, director of Champlain's Center for Financial Literacy. Now in her 12th year of teaching — all at Winooski High School — she is an award-winning instructor who advocates locally and nationally for personal finance education. At the beginning of her semester-long class, she asks students what they would do if given a million dollars. They usually list the things that they would buy, she said. "And then, as we move through the class, they realize, If I invested that money, I could live off of the compound interest, maybe." Jobs, education, cars, housing, budgeting, saving and bank accounts are on the syllabus. So are credit cards, insurance, investing, retirement and dream vacations. Poquette's students research the earning potential of different careers, write resumes and cover letters, participate in mock job interviews and fill out tax forms. They furnish an imaginary apartment with items they find online, recording what each item costs — both in dollars and in the number of hours they'd have to work in their chosen career to earn those dollars. As the semester progresses, students study the price tags attached to life choices. Will they live with their parents, on their own or share an apartment? Will they buy a car or use public transportation? How much will they set aside for savings? For retirement? How many times will they eat out each week? By the end of the semester, each student compiles a detailed monthly budget that covers everything from rent, utilities and student loan payments to Netflix, haircuts, gas and gym memberships. "And they have to have a surplus," Poquette said. "Or else they have to go back and change some of the decisions they made." Starting with the class of 2021, Winooski, one of the state's most diverse school districts, will require Poquette's course for graduation, making WHS one of 14 Vermont high schools to require a personal finance class. Another 33 schools offer it as an elective. Though Poquette also teaches accounting, entrepreneurship and other business classes, personal finance is her passion. "For me, the big key piece is every single time I have a student in my class, they don't ever ask, 'Why am I learning this?'" Her students have helped their grandparents with retirement planning and served as translators between parents who don't speak English and financial institutions. Some kids, including 18-year-old senior Abdullahi Sadik, are investing in the stock market. Using money he earns at McDonald's and the Robinhood no-fee trading app on his phone, Abdullahi has bought stock in AT&T, Facebook, Twitter, Apple, Netflix and Tesla. "I tend to buy things just off of the fact that I like the companies," he said. When Poquette was in high school at Bellows Free Academy in St. Albans she couldn't see the point of most of it, she said, and didn't plan to go to college. She bought her first car — a two-door, mint-green Toyota Tercel — at age 16 and then started saving for a house. As a senior, she went to two classes in the morning and spent the rest of the day working as a bank teller through a work-study program. "And my plan was just to keep working at the bank," she said. Her mother persuaded her to go to Champlain, the only college to which she applied. "And when I got accepted and they asked me to select a major, I think I just said, 'I don't care, whatever's first in alphabetical order,' and I ended up going into accounting." She later switched her major to business, figuring it would lead to more people-oriented jobs. She earned associate's and bachelor's degrees from Champlain and, while teaching, an MBA from Southern New Hampshire University. After graduating from Champlain, she worked as a quality control analyst for the Department of Homeland Security. Too much time in a cubicle, coupled with fond memories of volunteering in an after-school program during college, led her to teaching. Because she didn't have an education degree, she went to teaching conferences and earned her license through peer review. A comment she heard at a conference her first year on the job set the course for her career. "I remember they said, 'It's funny that we teach students about business before we teach them to manage their own finances,'" she said. "And that just resonated with me." She went home, created a personal finance class and started teaching it the next year. During an interview in her classroom in March, she reached for a blue binder. "This is the only thing that I've kept from high school," she said. "My senior year, my history teacher, he said to us, 'I know that I shouldn't be teaching you about this because I'm supposed to only teach you history, but it's important for you to make the decisions about life that you're going to have to make when you're a senior in high school.' And so he gave us this whole assignment that he called the Reality Check, and he gave us a different essay that was due every week. One was about choosing a career, one was about how you were going to afford to live on your own." Another was about buying a car. He asked students to think about goals, to interview a retiree, and he taught them how to write a resume. That teacher, Mike Campbell, still teaches at BFA, and he and Poquette both attended Champlain's first financial literacy summer institute for teachers in 2011. Poquette is now an instructor there. She is also one of 24 fellows for Next Gen Personal Finance, a California-based nonprofit organization that provides a free high school personal finance curriculum and professional development. In March, she attended the Next Gen Personal Finance Summit for educators to give presentations on financial literacy education advocacy and on how to use the Next Gen curriculum in the classroom. She continually revises her own personal finance class. Everything has to pass the 'So what?' test. "I always kind of think back to my own high school experience. Is this something that I would have liked as a high school student when I didn't like anything?" she said. "And if not, then I don't use it in my classes." What I hope to teach — and what I wish I'd learned! Paying for College: Fill out the FAFSA (Free Application for Federal Student Aid). Half of Vermont students do not, losing out on $5.5 million in free aid! Think about what you borrow; a recent study suggests that your total student loan debt should not exceed the income you expect to earn in your first year after graduating. Finding a Job/Career: Put care and effort into writing a resume and cover letter. Practice and prepare for an interview, and send a thank-you note afterward. Retirement: So you don't even have your first job? It's still time to start thinking about retirement. As a young person, you have the advantage of time when it comes to compound interest; so start saving early, and make it automatic! Always take advantage of employer- matched retirement accounts! Investing: My two favorite pieces of investment advice are, "Your life should be interesting; your investments should be boring" (from author and seminar leader David Bach) and "Investing is a marathon, not a sprint." Experts recommend investing between 10 percent and 20 percent of your income, but starting with any amount is better than not investing at all. Pay yourself first! Saving: Ask questions and read the terms when you open a bank or credit-union account. Service fees, overdraft fees, bounced-check fees and minimum-balance fees can be costly and add up quickly. It's your responsibility to understand and manage your accounts. Spending: Take time to comparison shop and try to spend less than you could. Ask yourself if it's a need or a want before you buy it. Sometimes people overspend on their wants, then can't afford their needs. Credit Cards and Credit Scores: Making the minimum payment on credit card bills sounds enticing, but this time the power of compound interest works in the lender's favor. Pay bills on time to earn a favorable credit score. A shocking statistic published in the state's Financial Literacy Commission's 2017 report says, "A 25-year-old woman with poor credit who lives in Vermont may face an estimated $484,680 in lifetime interest costs — double that of the same person with excellent credit rating." Housing: Understand the advantages and disadvantages of both renting an apartment and buying a house. Experts recommend spending 30 percent of your income on rent or a mortgage. Buying a Car: Most of the time, your car will depreciate in value. There are a lot of expenses — besides the price tag — to consider when buying or leasing a car: registration, taxes, insurance, gas, maintenance and repairs. Take time to comparison shop and do your research before making this big investment. In January, the Vermont State Board of Education adopted new, nationally recognized standards for teaching personal finance. "It's a substantive step forward," but other states do more, said John Pelletier, director of Champlain College Center for Financial Literacy, which gave the state a D on its 2017 National Report Card on State Efforts to Improve Financial Literacy in High Schools. Covering grades Pre-K through 12, the standards, developed by Washington, D.C., nonprofit Jump$tart Coalition for Personal Financial Literacy, cover spending and saving, credit and debt, employment and income, investing, risk management and insurance, and financial decision making. Pelletier said the new standards could earn the state a C. To get an A in his grade book, a state must mandate a semester-long personal finance class as a graduation requirement. Five states — Alabama, Missouri, Tennessee, Utah and Virginia — do that. Vermont is not mandating a personal finance class, instead leaving such curriculum decisions to local supervisory unions, said Martha Deiss, global citizenship specialist for the state Agency of Education. Pelletier is waiting to see what instructions the state gives schools regarding the standards. If Vermont has, in fact, replaced its modest but required standards with robust but optional standards, he may give the state an F, he said. "How is that an improvement?" Currently, 14 Vermont high schools require personal finance; another 33 offer it as an elective. The stakes are high, Pelletier's report card says. "An uneducated individual armed with a credit card, a student loan and access to a mortgage can be nearly as dangerous to themselves and their community as a person with no training behind the wheel of a car." The report details the negative repercussions. "Those who are financially illiterate are less likely to have a checking account, rainy day emergency fund or retirement plan, or to own stocks. They are also more likely to use payday loans, pay only the minimum amount owed on their credit cards, have high-cost mortgages, and have higher debt and credit delinquency levels." A low credit score can cost a consumer more than $100,000 over a lifetime. Society pays, too. "The 2008 financial crisis clearly shows that poor financial decisions by individuals had negative consequences on our country," the report says. 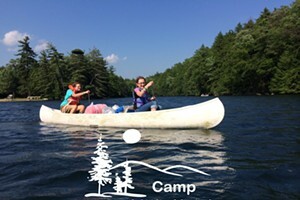 So far, about 160 Vermont teachers have completed the institute. All three of the teachers who teach the required financial literacy class at U-32 High School in East Montpelier have attended. "Without a doubt, it has been the best professional development experience I have been involved in," said George Cook, an educator for more than 24 years. Pelletier brings in-depth knowledge and an unparalleled ability to convey it to teachers, Cook said. He and his classmates from the 2012 institute stay in touch and trade information about curriculum and content. "Hands down, this program has made me a better teacher."